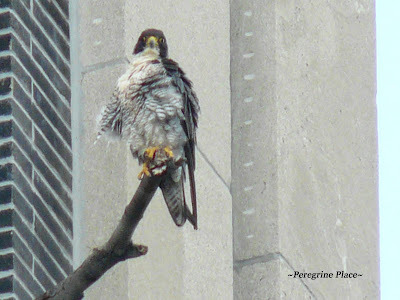 Smoky has been perching on MacKay Tower again lately but the four kids have been seen less frequently. 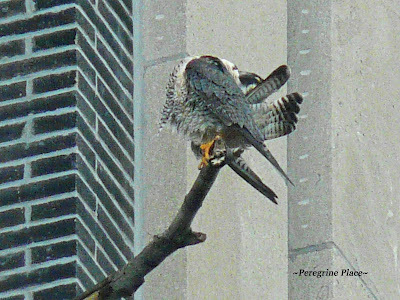 After hours perched, he suddenly flew off so fast, heading towards Bailey and was quickly out of sight. ~Who is at the MacKay nestbox?